This beautifully designed unit is a great option for a guest who wants the amenities of a condo but the still has the hotel atmosphere and experience. 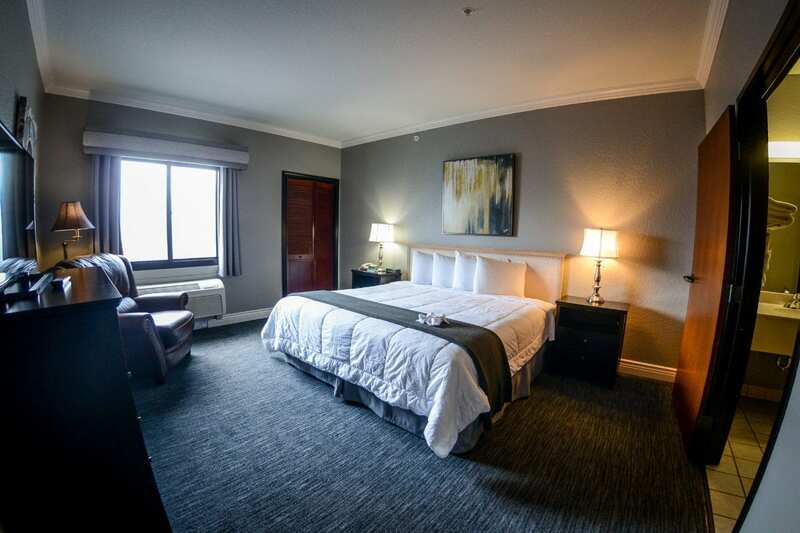 The Hotel Suite features a living room area with a recliner and a comfortable sofa, a kitchenette complete with a refrigerator, toaster, microwave and dinnerware, and a separate Master Bedroom with a king sized bed and flat screen TV. Located in the main hotel/resort complex, you are also in immediate proximity to the Barnacles Sports Bar & Pizzeria, Commodore Dining Room, Game-room, Nautilus equipped workout facility, iconic Yacht Club Cigar Bar, and the spectacular Tower Lounge.